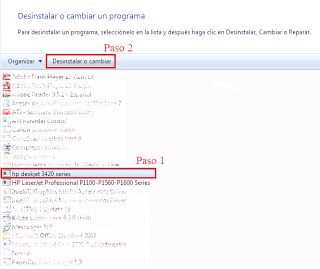 The next step is for install the driver complete process, if have problem type a coment. Standard errors of our printers lead us to the need to do a reinstall of the drivers or driver are the errors that the printer does not respond to printing, or when we send to print out an error we do not know in a few words inexplicable errors that are not from printer are the ones that make this decision. When we remove the drivers from a printer and install new drivers is possible that the problem is solved, in case that we need to know how to uninstall a driver is nothing so serious what is a little. Below is the procedure for uninstalling the drivers follow these as we have raised in case you need help with it make a comment in this post. For the next steps you need to identify which operating system you are using, depending on this are that we will execute the procedure then follow the steps as they arise. If you have Windows 7 you click on Control Panel, then you click on Programs and uninstall programs. If you use Windows Vista you click on Control Panel then click sound hardware environment and then click Programs. If you use Windows XP, click Start, then Control Panel, then install and uninstall programs. After having uninstalled the driver find the driver if we will use a CD and install the driver. 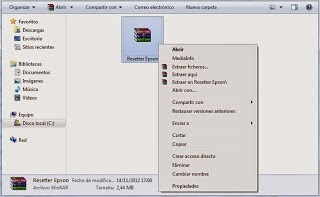 In case we do not have it we have to download the drivers from the Internet, for this we have developed a post that may help you to download the drivers, the post is only developed for Lexmark, Canon printers, and HP download the driver from the internet for Lexmark printers, you can also download the driver from the internet for Canon printers or you can make the download from the Internet for Hp drivers, as well. When we unpacked the driver installation recommend that you make the intallation through the process of updating properties of MY PC, we recommend reading our post how to install the driver if they give me trouble in the normal way.